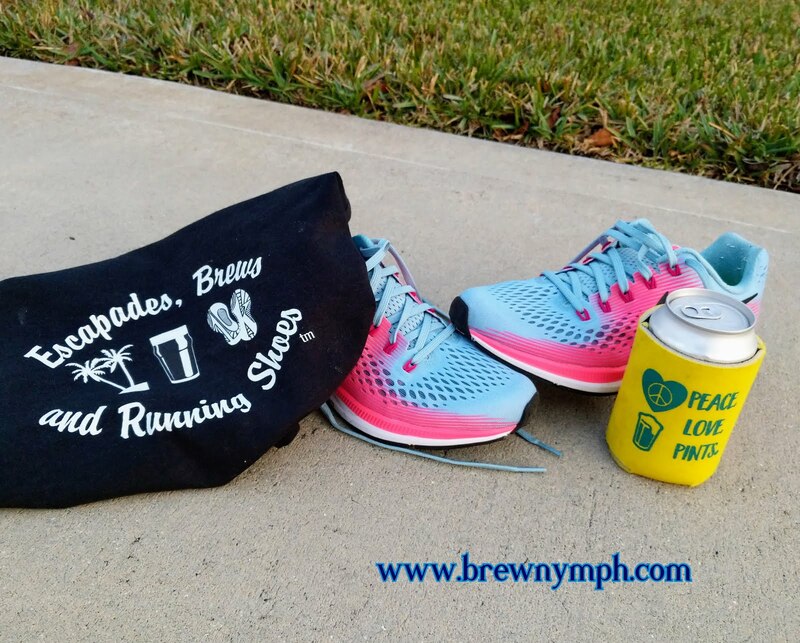 BrewNymph®: If It's January.... 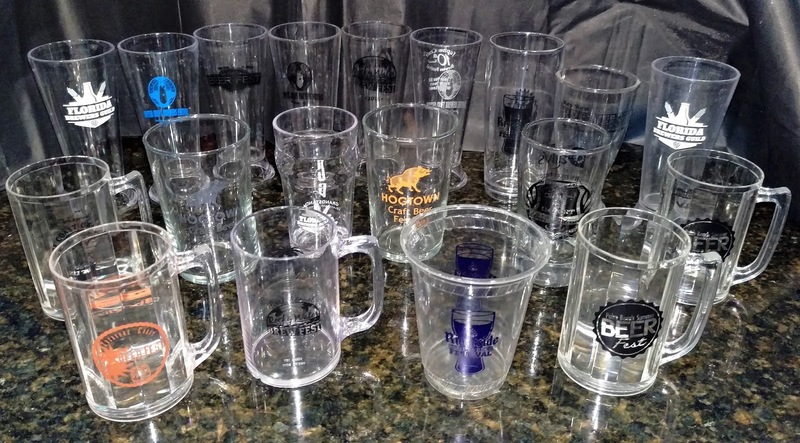 It Must be Florida Beer Fest Season! If It's January.... It Must be Florida Beer Fest Season! Cenosillicaphobia? Not at a Florida beerfest! It's the first weekend of the New Year! That means various things. First, there's that cold wave gripping most of the nation, and even here in North Florida, we're swapping the flip-flops for closed-toe shoes for a few days (except those really hardy types who refuse to give in to Mother Nature). NFL Playoffs are underway. And, of course, when the calendar turns to January, it's BEER FEST SEASON in Florida! Over the next few months, suds will be flowing at beerfests all over the state, starting with events in South Florida, which is usually fairly warm in January - no parkas here. Unless you dig the snow (trust me, I've been there) and subfreezing temperatures in January and February, there's no better place to be than at a beerfest in Florida. The season kicked off at the annual Key Largo Brew on the Bay on the waterfront at Rowell's Marina on January 7. 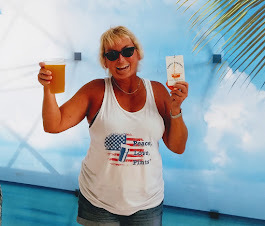 While it looks like the sun may have been playing tag with a few clouds and rain sprinkles in Key Largo, photos showed a happy crowd sipping beers in t-shirts. Onward to Fort Lauderdale, Miami and Jupiter! 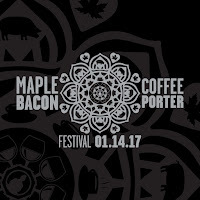 MAPLE BACON COFFEE PORTER FESTIVAL at Funky Buddha Brewery, Oakland Park, 1-5pm. Followed by Hangover Brunch on Sunday, 1/15. 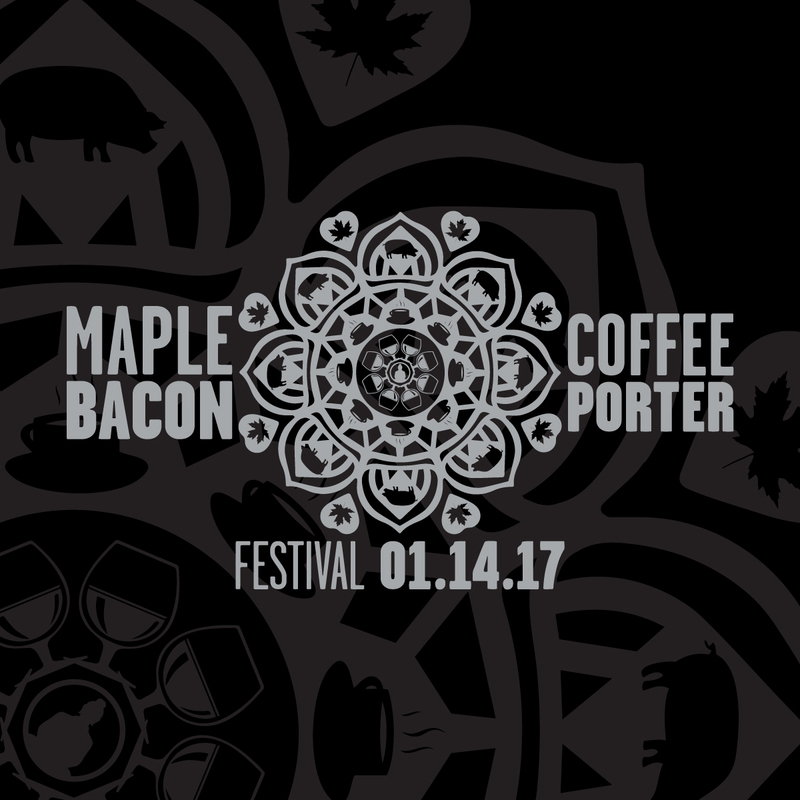 Yeah, I went to the annual fest in 2016 and brought back some of this awesome brew. Read the 2016 recap HERE. For 2017, there's a new festival format, from 1-5pm. Ticket options: fest admission with one case of MBCP, fest admission with 4 bottles of MBCP, General Admission fest admission only (bottles of MBCP will be available for purchase at fest). Check out my preview story about the 2017 Fest here. 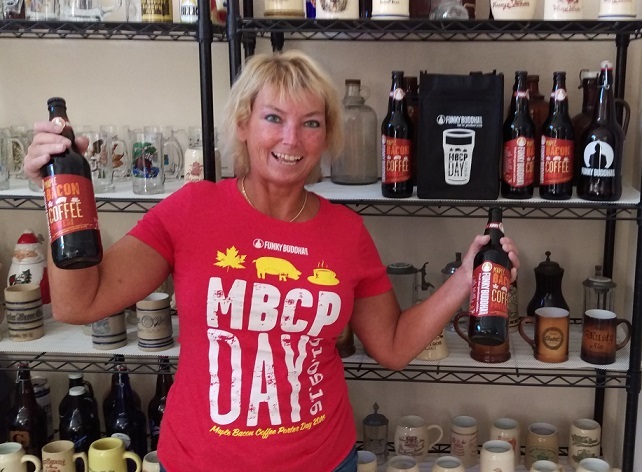 MBCP Draft Day Tour around Florida to follow, starting January 26, with limited distribution. 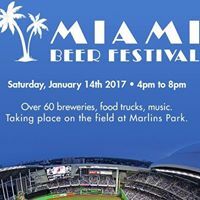 MIAMI BEER FESTIVAL, Marlins Park, Miami, 4-8pm. Fifth annual fest, on the field. Features over 60 local, regional, national and international breweries, food trucks, music, games. General Admission and VIP options - two VIP choices available, each for an extra hour of admission at 4pm. General Admission starts at 5. Get tickets here. DUE SOUTH BREWING TRENCH DAY, 3-6pm, Boynton Beach. The annual release of Mariana Trench Imperial Stout. Only 300 tickets to be sold. Cost $50 includes one bottle of Mariana Trench, unlimited samples of beers from Due South and other guest breweries. Additional bottles of Mariana Trench will be available for purchase. Food trucks on site. SAVED BY THE BEER 9TH ANNIVERSARY PARTY at SWAMP HEAD BREWERY, 1-11pm, Gainesville. It's a 90's themed party, right down to the Vanilla IcePA! 90's music, food trucks, and what's sure to be a killer tap list (tba). If you haven't been to The Wetlands, it's cool, and the beer is pretty frickin' awesome. And, yeah, I've been there a few times -- even wrote about 'em once or twice (search in the sidebar for "Swamp Head"). Party in G'Ville! NEW SMYRNA BEACH BREWING Third Anniversary, New Smyrna Beach. I stopped there for the first time three years ago, and it's a regular stop on my trips back from South Florida. Great beer, and some of the friendliest staff you'll ever meet. Cool little place just off of US 1, with a surfing vibe. Check out my first visit here. 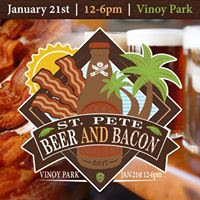 ST. PETE BEER AND BACON FEST, Vinoy Park, St. Pete, 12-6pm. Bacon? They have bacon from local chefs and restaurants. 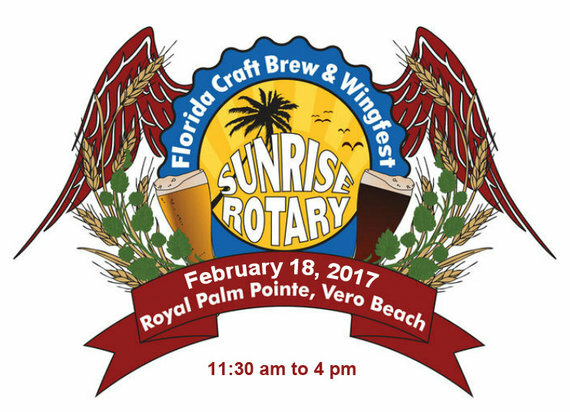 80+ beers from local and Florida breweries and more. Live music all day. 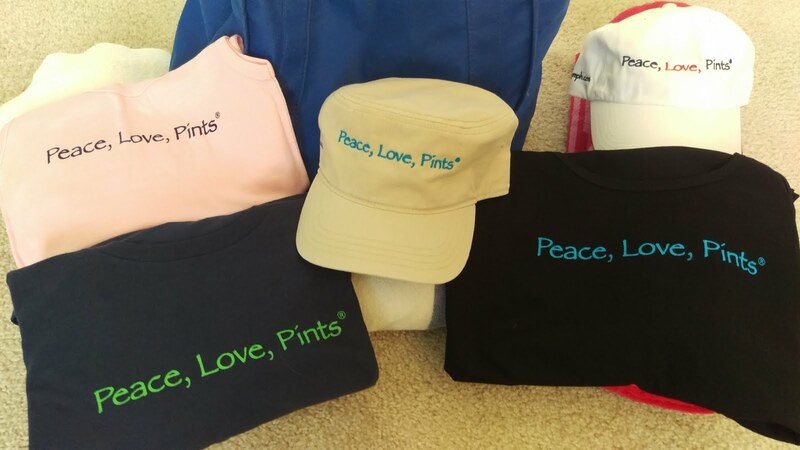 Portion of proceeds benefits Pet Pal Shelter. Tickets in link. JUPITER CRAFT BREWERS FEST, Roger Dean Stadium, Abacoa Town Center, Jupiter. (Also, Field of Beers Food & Beer Pairing, Friday night, 1/27 [Field of Beers already sold out!]). Take a look at what happened at the 2016 fest HERE. One of my favorites -- I've been there a few times - as a vendor and as an attendee! But, I'm pretty much always up for a trip to South Florida! And, there's some good golf at the Abacoa Golf Club, too! Tickets limited: 1500 online, only 1500 at the gate on fest day. These will sell out, so get 'em. Otherwise, "I told you so." UNDERDARK RELEASE DAY 2017 at Intuition Ale Works, Jacksonville, 11am-11pm. Annual release of Underdark Imperial Stout, aged for more than a year in Woodford Reserve Rye Whiskey barrels. Bottle sales are cash only, $20 (limit 2). And, for the first time, they're offering variants, too: Underdark with Coffee (limit 1); and Underdark with Cinnamon, Vanilla and Cocoa (limit 1). And, Underdark will also be on tap! Intuition just released info on its new loyalty program, Cellarmen & Coterie: one-year memberships in two tier levels. The Coterie level includes a members-only pre-release Underdark party, in case you want more! See my story here. 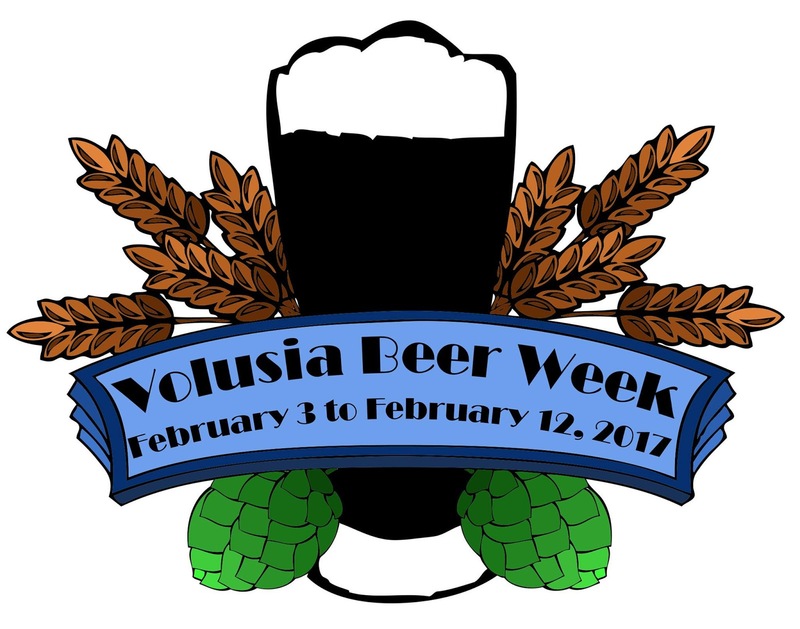 VOLUSIA BEER WEEK, featuring events all over Volusia County. 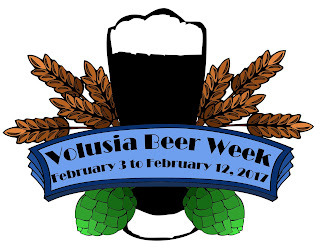 See the Volusia Beer Week Facebook Page for events, or, check out the "Tap This" page here on this website -- events are listed there! Volusia Beer Week wraps things up with DeLand Craft Beer Fest (see below). DELAND CRAFT BEER FEST, 1-5pm, Downtown DeLand. The 2016 fest was a rainy blast! If you haven't heard of DeLand, you have now: check my 2016 recap HERE. Tickets on sale here. 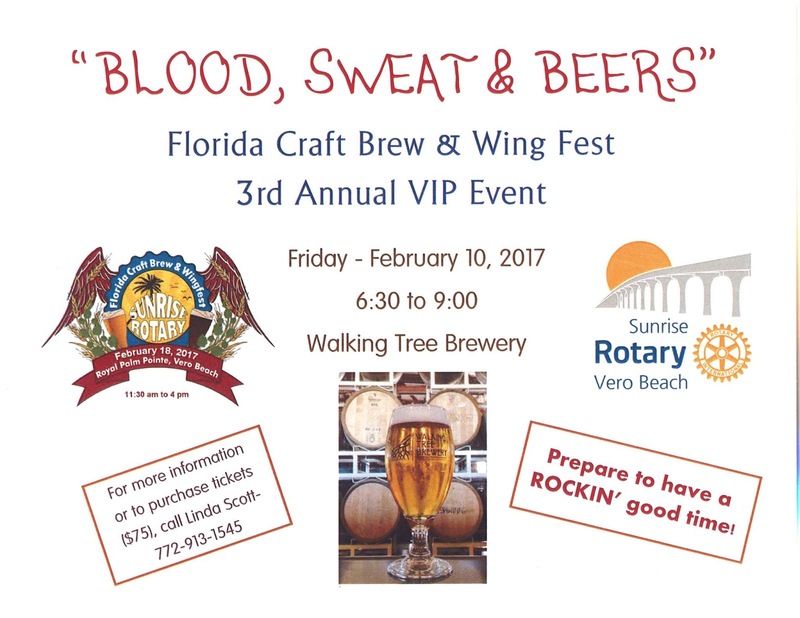 BLOOD, SWEAT & BEERS: Florida Craft Brew & Wing Fest Pre-Fest VIP Party at Walking Tree Brewery, Vero Beach, 6:30-9pm. Official pre-fest party. 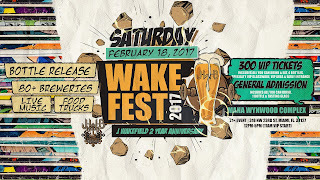 The Fest is 2/18 (see below). 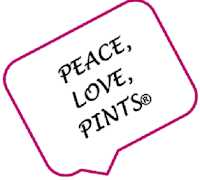 Party features beers by Walking Tree Brewery and food/beer pairings with JJ Taylor Distributing beers. Ticketed event; get 'em here. JDUB'S BREWING Third Anniversary Beer Festival and Pros v. Joes Beer Competition, Sarasota Fairgrounds, 1-5pm. General Admission, 2-5pm; VIP at 1pm. 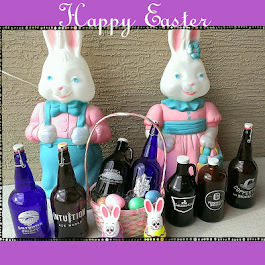 Admission includes sample glass, unlimited tastings from local breweries, free food samples from select vendors. 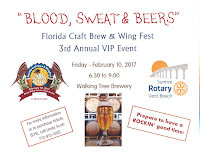 VIP includes bottle of special anniversary beer, special tappings, t-shirt, tickets to the "after-party," with two core beers. Also, competition with homebrewers. Get tickets HERE. Limited VIP tickets. Event benefits Humane Society, which will be present with pets to adopt! I wonder if JDub will wear that Cow Bell suit -- because it's udderly awesome! FLORIDA CRAFT BREW & WING FEST, Royal Palm Pointe, Vero Beach, 11:30-4pm. One FUN fest! Lots of beer, lots of wings and bbq. Homebrew contest. (Hey, I was a judge in 2016!). Great fest, and attendance grows each year. Two music stages. Did I mention LOTS of beer and food? Get tickets in link. Benefits Sunrise Rotary of Vero. Check out my 2016 recap HERE. GREEN LION FEST, Balis Park, San Marco, Jacksonville, 11am-4pm. To support sustainability, social responsibility and the environment. Green and eco-friendly. 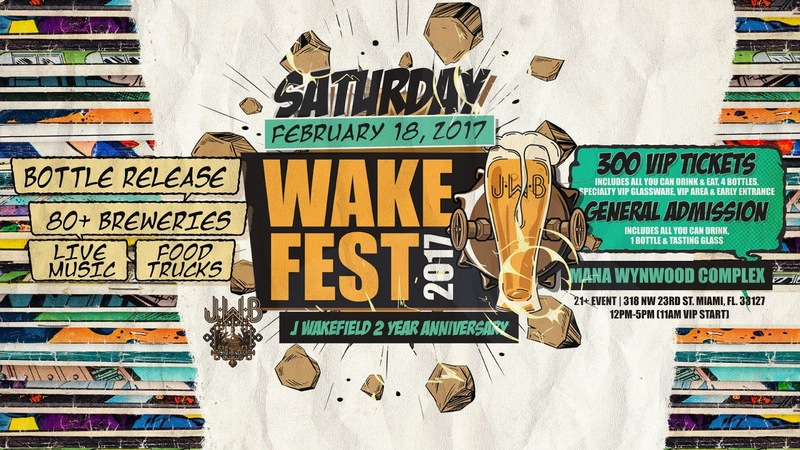 J WAKEFIELD BREWING WAKEFEST, TWO YEAR ANNIVERSARY FESTIVAL, 12-5pm (11am VIP, only 300 VIP tickets), Mana Wynwood, Miami. Food trucks, DJ. 40 Wakefield beers on tap. Specialty bottles. 70+ local, national breweries. General Admission, $70; VIP $250. Ticket includes: unlimited pours, commemorative tasting glass, one 750ml specialty bottle of The Golden Ticket Imperial Stout with Chocolate, Caramel, and Sea Salt. VIP includes food, four special release bottles, and VIP beers. (VIP tickets sold out thisfast). 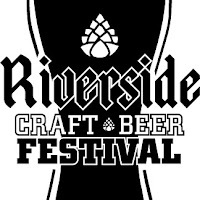 RIVERSIDE CRAFT BEER FEST presented by Riverside Rotary, 3-7pm (VIP at 3pm; general admission at 4pm), Riverside Arts Market, Under the Fuller Warren Bridge, Jax (see my initial preview story here). Had a great time pouring beer for Due South Brewing in 2016! Take a look at last year's fest recap HERE. 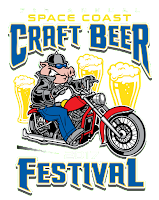 SPACE COAST CRAFT BEER FESTIVAL, Palm Bay, 2-5pm (1pm VIP entry). I loved this fest in 2015! Presented by Broken Barrel Tavern (which, by the way, is a kickass place with great food and a killer beer list). Fest is right along the interstate behind the Harley place. 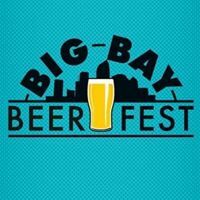 BIG BAY BEER FEST, Raymond James Stadium, 1-5pm. VIP entry at 1pm, general admission at 2pm. Benefits Healing Heroes Network. This is the first time for this fest. 50+ breweries. Vote for People's Choice. Food, music, silent auction. Tickets available in link. MIA Beer Co. Second Anniversary Party, Doral/Miami, 2-10pm. You know 'em for their colorful logos and great beer. They're celebrating with a big party featuring lots of their own beer, plus guest taps, food trucks, and more. No admission charge. Drinks by ticket, $5 each. 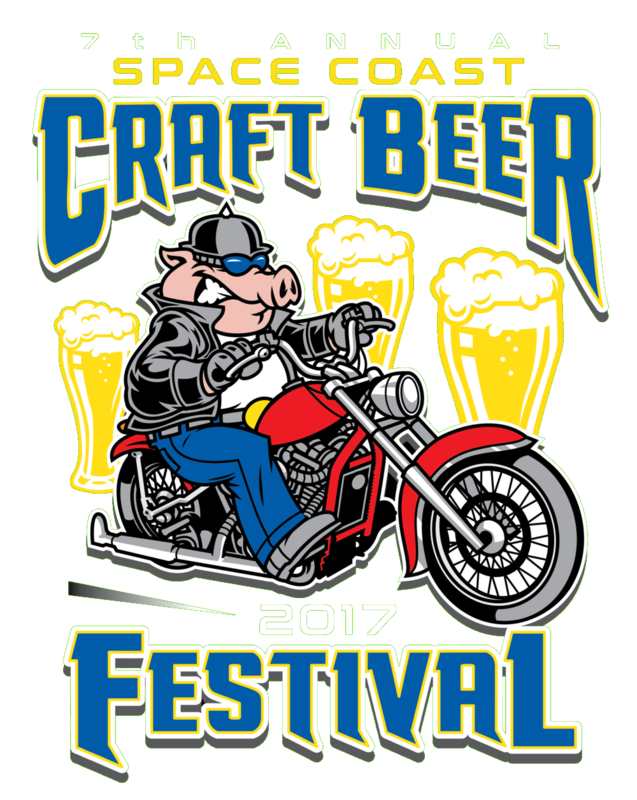 SHRIMPFEST AND CRAFT BEER HULLABALOO 2017, Little League Park, Fellsmere, 9am-9pm Sat; 9am-5pm Sun. Presented by Rotary Club of Sebastian and Exchange Club of Fellsmere, the event raises funds for youth sports. It's a two-day celebration of Shrimp! 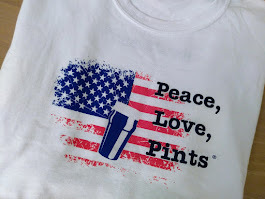 AND, a Craft Beer Garden with BEER from local Florida breweries and homebrewers (1-4pm on Saturday); local homebrewers featured from 1-4pm on Sunday. 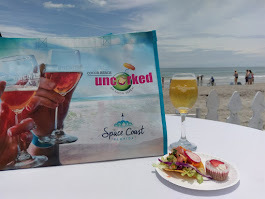 Wine from Endless Summer Vineyard & Winery. Live music all day. Local restaurants will vie for the "Golden Shrimp Award." Anyone else getting hungry and thirsty? That's a summary (as of now) of beerfests around Florida in January and February. 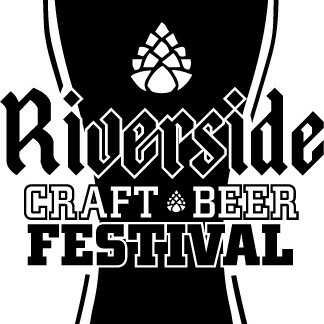 Keep following the "BeerSPHERE" Page on this website, because more fests are added to the list every day! And, I'll be at a few of those fests and more in March and April. So, stop and say Hi! 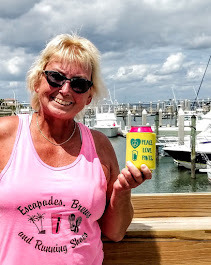 See you around a beer ... in Florida Somewhere!